Offering you a complete choice of products which include aluminum barrier foil, plywood box, wooden packing ply boxes, euro pallet, aluminum foil packaging and heavy duty wooden box. We are a highly acclaimed company in offering Aluminum Barrier Foil to the clients. 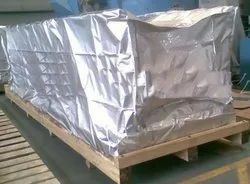 Aluminium Barrier Foil is a perfect combination to reduce moisture penetration inside the packaging and provide a shelf life of up to 15 years. It has extremely low water and oxygen transmission rates. It can be vacuum and heat sealed and the inner layer of the aluminum foil can have VCI protection to protection corrosion of metals. Also, we are offering these VCI Aluminium Barrier Foil at pocket-friendly rates to our valued clients. 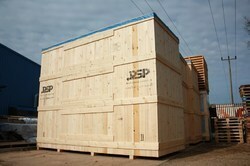 With focus on variegated demands of our respected clients spread all over the country, we are offering Plywood Box. The plywood boxes offered by us are manufactured as per the set industry norms using finest material & leading techniques. 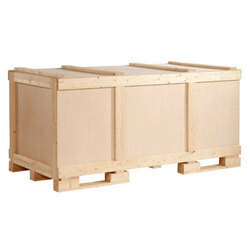 Our offered plywood boxes are available in various sizes and thickness keeping in minds the customer’s demand. Also, customers can avail the offered plywood boxes in a given time frame. We are reckoned to be the most prestigious companies in this line of offering Wooden Packing Ply Boxes. The ply box offered by us can be availed from us on numerous customized options as per the need of customers. This ply box is manufactured by our skilled workforce using best quality of material & modern techniques in fulfillment with the set industry norms. Also, the offered ply box is strictly tested on numerous parameters of quality so as to make certain its flawlessness. 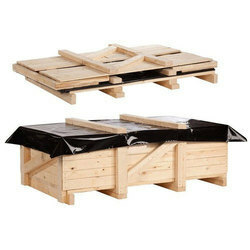 We are a renowned manufacturer, trader and supplier of a wide range of Euro Pallet. 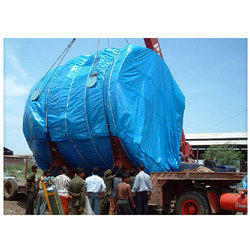 The pallet offered by us is used in transport of storage vessels and huge round shape items. This pallet is manufactured by our skilled workforce using best quality of material & modern techniques in fulfillment with the set industry norms. Also, the offered pallet is strictly tested on numerous parameters of quality so as to make certain its flawlessness. We are the best known manufacturer and supplier of the Aluminum Foil Packaging. We are reputed enterprises in this industry, offering a supreme quality Heavy Duty Wooden Box. Our provided wooden boxes are available on various specifications, in order to meet various requirements of our customers. The offered wooden boxes are precisely manufactured by utilizing quality material under the direction of our professionals. These wooden boxes are checked on numerous parameters so as to deliver a flawless range. We take pride ourselves in manufacturing, trading and supplying a superior quality Polyester Lashes that can bear high shock absorbing capacity. Our product is acclaimed among customers owing to its tension retaining capacity. This product is manufactured from the quality material and latest techniques by our skilled professionals. We offer this product on numerous specifications so as to meet the need of customers. We are offering Heavy Duty Box that is perfect for packaging various heavy products. The box offered by us can be availed from us on numerous customized options as per the need of customers. This box is manufactured by our skilled workforce using the best quality of material & modern techniques in fulfillment with the set industry norms. 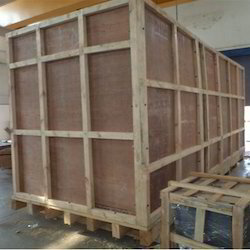 Quality being the ultimate aim, we offer an extensive range of Pine Wooden Box that is used for long duration shipping where heavy strength is needed. The offered wooden boxes are designed to accommodate both type of wood as per your packaging needs. In addition, we check our wooden boxes on various quality parameters so as to ensure their flawlessness. Customers can avail these wooden boxes from us in a given time frame at affordable rates. We bring forth qualitative Lashing Palatalization Services for valued clients. Manufactured using high-grade basic material and technology, these offered products are in compliance with the defined parameters of the industry. 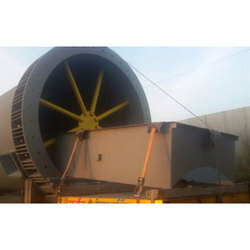 Keeping in mind divergent demands of the clients, we offer these products in different sizes and specifications.